The culture in Turin is rich; full of monuments, museums, art galleries, restaurants, beautiful palazzi, gardens and the list goes on. When visiting or living in a new city, it is important to explore and experience what it has to offer. This list certainly consists of more than one cultural place in Turin, Italy and soon you will find out that Turin has many elements of culture that you will be interested in and want to know more about. Containing equipment and memorabilia from famous movies with a viewing platform at the top for a great view of Turin. The oldest Egyptian Museum in the world. Complete with a vast collection of Egyptian artifacts including 3D films and interactive displays, Turin is thought to be where Egyptology began. A contemporary art museum in an old royal residence- home to a fixed collection of art work as well as temporary art exhibitions. Check out the website to see if there are any exhibitions during your stay. A highly interactive museum taking you through the history of cars and into the future. Also displaying cars that have never actually been produced. Turin’s central piazza, lined with restaurants, theatres and museums. This piazza is home to Palazzo Madama, the original site of the Italian Parliament and Palazzo Reale or Royal Palace that was originally built for Carlo Emmanuele II. Another cultural place in Turin, Italy stands 2200 feet (672 meters) above the city, here you can visit the Basilica, Royal Tombs, Royal apartments and climb the 131 steps to the top of the dome to see breathtaking views of the Alps. The Duomo of Torino, dedicated to the patron saint of Turin, Giovanni Battista, is home to the Turin Shroud believed to have an image of Jesus of Nazareth on it. Come here and unravel the mystery for yourself. Is it real or not? An old roman settlement and home to some of the cutest restaurants, shops and bars. Every Saturday and second sunday of the month, search through antiques, clothing and furniture for some great finds. A likely home for exhibitions and fairs in Torino, this covered courtyard, often has live music, fairs and exhibitions within its walls. Check out the link above to see if there will be any events for your time in Turin. Bus Tours – one of the best ways to see everything and hop off when you please. Free walking tours – classic city center tours, private tours and pub crawls. 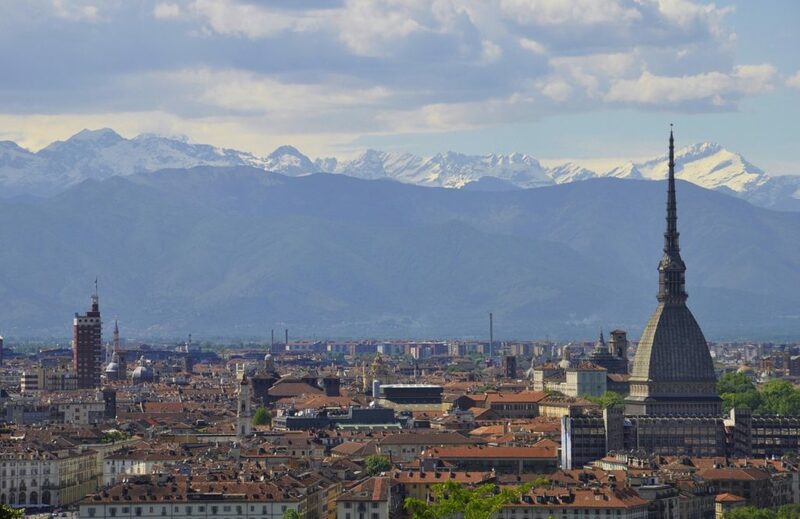 Turin Segway Tours – test out your balance and see the city in a different way. For discounts and free entry into select museums, check out the Torino & Piemonte Card.